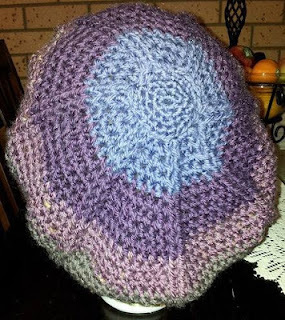 I like this style beret that I have been making, so I thought I would write up the pattern to share, it's one of many style's I've managed to come up with, but time does not prevail to write them all to share. Slowly does it and I may have more patterns to post. 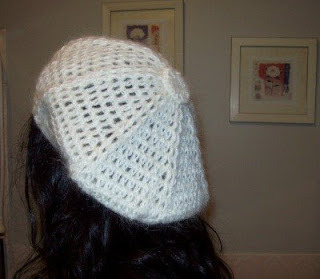 I have written this beret pattern with 2 set's of instruction's. 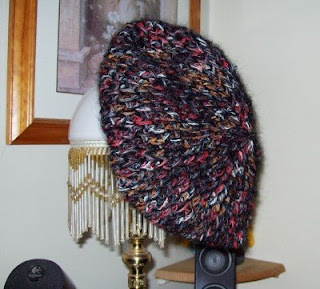 One being for a thicker yarn, which is nice and warm for winter wear and the other is with a thinner yarn that can be worn for three season's. 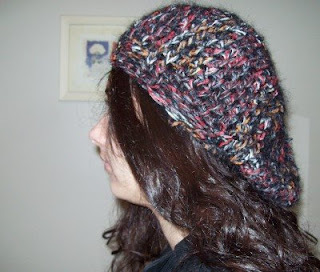 Do not be afraid to adjust this pattern as AU Yarn is quite different yarn to the US and UK, AU can be much thinner which can require you to increase more. 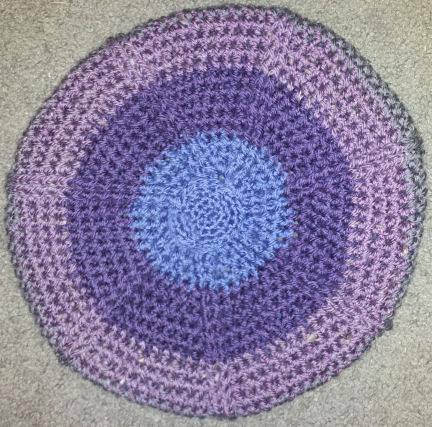 Crochet terms written in US terms. 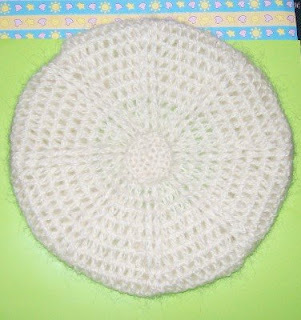 Flatten the circle and sew to top of the beret. Here is some feed back on the three seasons beret. 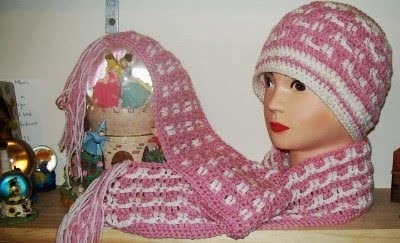 I absolutely love it and for me, 13 sts for the last inc was perfect, that made a couple extra rows for the decrease too and it all worked out great. 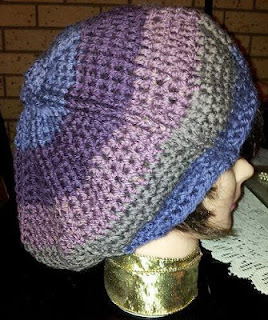 I love how it fits and how it sits on my head...it's fairly heavy because I used Cleckheaton Country 8ply pure wool but it feels yummy and springy and I'm well pleased. 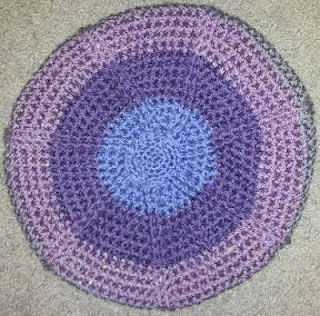 Thanks for a great pattern!